Immersed in the typical Mediterranean maquis of Sardinia, La Fattoria consists of a central body, where the reception, restaurant-pizzeria and a beautiful panoramic terrace are located. During the summer, breakfast and meals are served here so all our guests can enjoy unforgettable sunsets in the sea air. 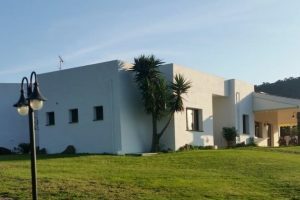 To the left of the central building, there are 3 villas that house 12 rooms with a private bathroom, overlooking a well-kept garden with a pool-side sun terrace. All main services, shops, a tourist doctor, pharmacy, the marina and a wide choice of restaurants and clubs are located in Castelsardo, 6 km from our base.